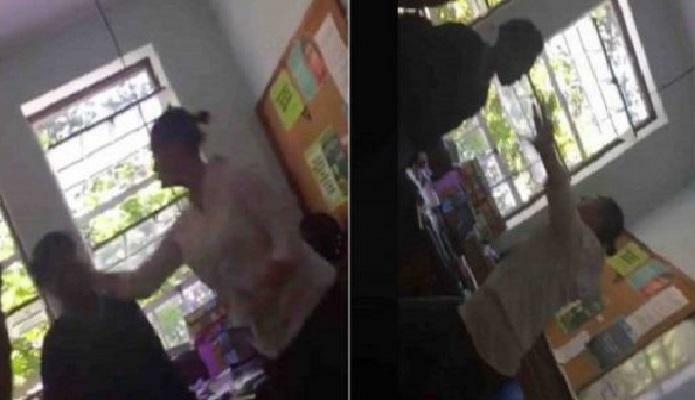 A white teacher was suspended for slapping a black student in her class last Friday. The incident took place in one of the girls’ high school in Newlands, South African. The black student was not left behind the scene, she was also suspended, according to local media. The event, which occurred at the Sans Souci girls’ high school in Newlands, allegedly began with a dispute between the student and the White teacher. Ms. Shelver explained that Sans Souci students and teachers have already received instructions on how to handle these kinds of situations. The video of the incident, widely circulated has provoked a lively debate on social networks. While some Internet users think that the white teacher should have acted differently, others believe that the punishment of the black student was well deserved.